If you are a beginner and you want to learn a programming language, use a text editor. If you are really interested in learning, never use IDE at least in your initial phase of learning. For more, you can read my previous article- advantages of using the text editor over IDE for programming. I did not say it blindly. Being professional Python developer and having good sense and experience of programming I have my two cents of it. How to start Practicing Real Programming Stuff? If you are the novice programmer and if you really want to learn to programme, here is the list of text editor you should use. If you Goole it, you can see the huge list of Text Editors available to download. It’s like creating more confusion for newbies. There are always pros and cons of each text editor. To avoid the confusion of new programmers, I am just listing 3 text editors those I personally use. Listing here some of my favorite text editors you should start with, without giving any other thoughts. Notepad comes preinstalled on Windows. It is the most simple text editor. It does not have syntax highlight feature. Notepad++ comes with basic syntax highlight features. The best think about Notepad++, it resumes the last job. If you missed saving any file in Notepad++, it will be resumed when you open notepad++ editor. You can download install Notepad++. It is available free. When it comes to windows, it is my first choice. This text editor is specially built for coding and has good support. Again, it is available for free to use. The portable version of the sublime editor is also available. You can download it and use it without installing on your system. If you are using any of the Linux distribution, Vim comes preinstalled with most of the today Linux distribution. It is my favorite. Even I use it for my project development purpose. The vi and vim text editor also highlight the syntax. You can turn off or on highlighting the syntax in vim. What is the Best Text Editor for Linux? If you are really interested learning and mastering any programming language, move to Linux. Ubuntu is most suitable to start with. Ubuntu has vim preinstalled. Other than vim, you can use the sublime text editor as well. What is the Best Text Editor for Windows? Windows is the most populate operating system and it is widely used. On Windows, you can use Notepad++ or Sublime Text editor. It is difficult to realize the difference between two unless you use and feel it. The Sublime text editor comes with more programming features. I personally use it. What is the Best text editor for Mac? I am not the big fan of iOS echo system when it comes to programming. If you are Mac user, you can use a Sublime Text editor. Note: Sublime text editor is available for Linux, Windows, and Mac. If you purchase pro version, you need single license to run it on any of the systems you own. Even, you can use the free version which is more than sufficient in your learning phase. These all text editors I have mentioned are open source. And you are free to use them. If you are front-end developer and looking for the simple text editor, you can use our simple online HTML editor for FREE. What’s the Next to Start Practicing Real Coding Stuff? Now you have installed best suitable Text Editor on your system. Are you destined to learn some real programming stuff? Here is the list of 50+ coding questions you should practice. It consists of all the coding questions you need to start learning and mastering any programming language. Most of the questions are already asked in many of job interviews. Create a directory in your system and start writing code for one question at a time. You can only master any programming language by Practicing as much as you can. 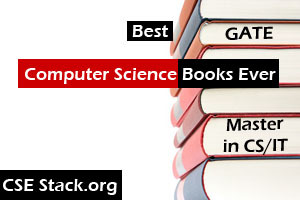 It does not matter how many programming books you read. These are all my choices for Best FREE Text Editors for Programming. IDE is built solely for programming. I am not denying this fact. When you want to build some projects, you need extra programming features to skyrocket your project development. For example, for developing Python project, PyCharm is the best. I use it. But if you are a novice to the programming, it is more about learning. And learning comes with an understanding of each programming aspects. The text editor is what you need. What’s your experience and thought of learning to code using the text editor?